This blog is no stranger to candy canes. Last year and the year before I did a pretty extensive review of all candy canes from the Smarties flavored ones to Jolly Rancher. It caused some awkward moments at the dentist the following month but it was well worth it to let the world know where these Christmas treats, which double as tree ornaments, stand. It’s my duty as a silly blogger. I was positive that I tapped the cane market. They couldn’t possibly have come out with any more variations. I wrote damn near $200 off my taxes in just candy canes last year (kidding IRS) so if they made another version, I would certainly know about them. And then I strolled into World Market. You have got to be kidding me. I have been boasting to know the entire candy cane market only to get one-upped by a flavor that should not be. 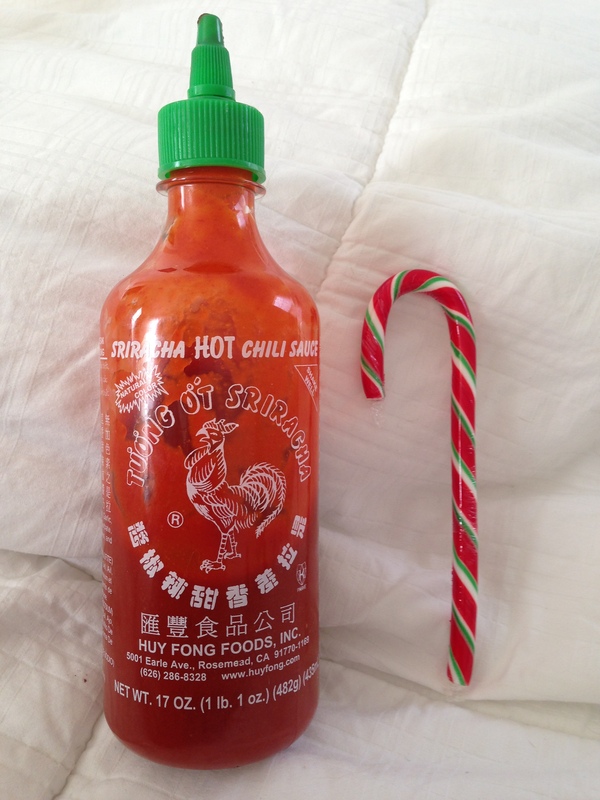 The Canadian company, J&D Home Enterprises has defied all that is holy and infused Sriracha hot sauce with candy, colored it red, green and white and molded it into a cane. It’s 90% evil with 10% awesome and that is 100% VeggieMacabre approved. You might say nothing is sacred anymore but we live in a time when you can quit smoking by sucking on bubblegum flavored vapor. I don’t know. Now I have to eat this craziness. 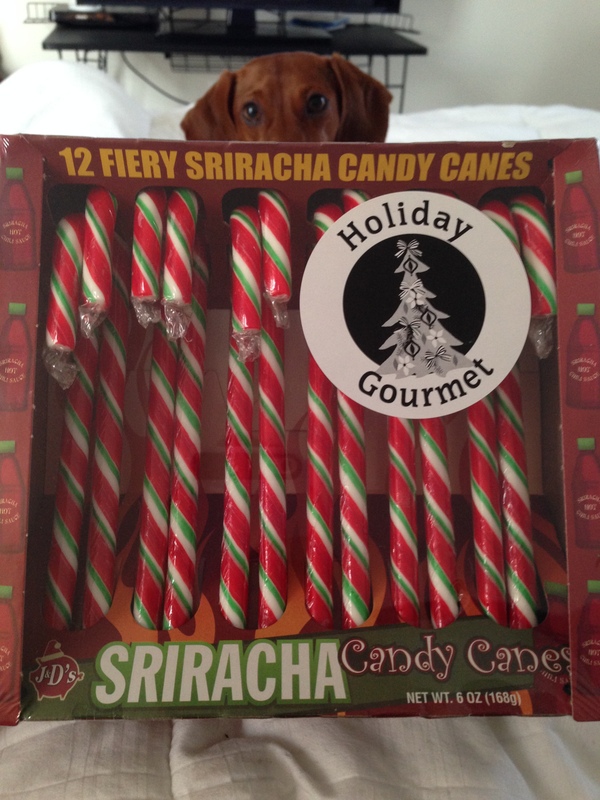 I think I love these Sriracha candy canes more than I should. In fact, I am looking for a mountain cabin getaway for the both of us. 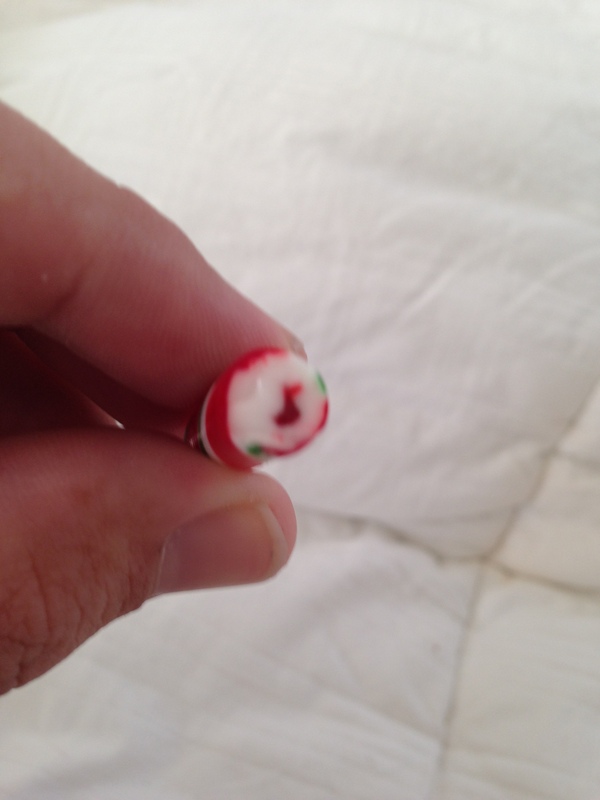 These things are my new favorite Christmas candy by a mile. Even though they don’t bear a liking to the Huy Fong Sriracha sauce we have come to love and put on everything, it has a kick that will leave you confused to why you have all twelve canes shoved in your mouth. I bought these fine candy canes at World Market for around five bucks and if you have a tough time finding them in you area you can certainly order them at here. Trust me, if you like something spicy and new, you should probably buy at least forty boxes because they are awesome. Even on the back of the box it states “…great for tricking children…”. Come on, maaaan! a few months. I love this article and your entire site! Dude……great website you have got right here. A lot of cool reviews not to mention related insight!!! Do you have any kind of posts relevant to steam cleaning machines? Dude…nice website you got right here. Tons of good posts in addition to related information!!! Do you provide any kind of material in regards to lead generation tips? I know I am getting familiarity every day by reading thes pleasant posts.